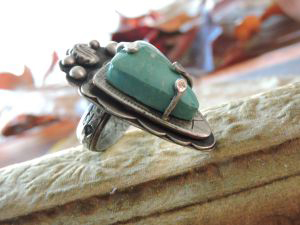 This is your chance to work on designing a special, and maybe your first prong set ring. 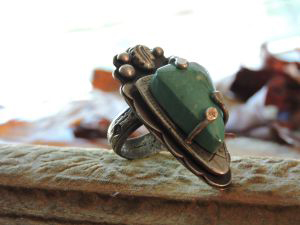 Students will have the opportunity to explore several techniques on forming embellishments to adorn both the ring and the ring band (if choosing to use the low dome wire). 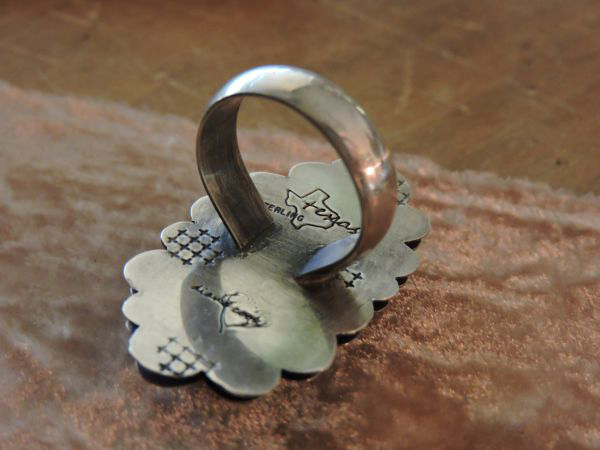 Using metal stamps can also be a fun and easy way to add additional texture and added interest to both the front and back of a ring. Lastly, I will share my "lifted" technique, which will add a lovely dimension to your newest piece of finger art. Cab of your choice (the one I've used for the class sample picture measures 15mmx22mm and 6mm thick, with no backing. I would stay close to this size but it doesn't have to be triangular shaped).